Formerly, DockbarX is a Gnome2 taskbar applet, AWN Applet, Mate taskbar applet and stand alone dock with groupping and group manipulation. 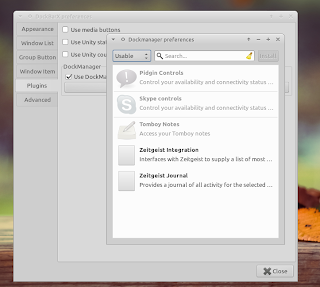 Now, DockbarX can be used as a panel plugin for XFCE panel. With this application, Xubuntu users - like me - can get an icon only application launcher, grouping ability, theme supports, pin application to panel and more! This is not a port of DockbarX to Xfce; this plugin embeds the already-made DockbarX into xfce4-panel using a python program to play go-between. 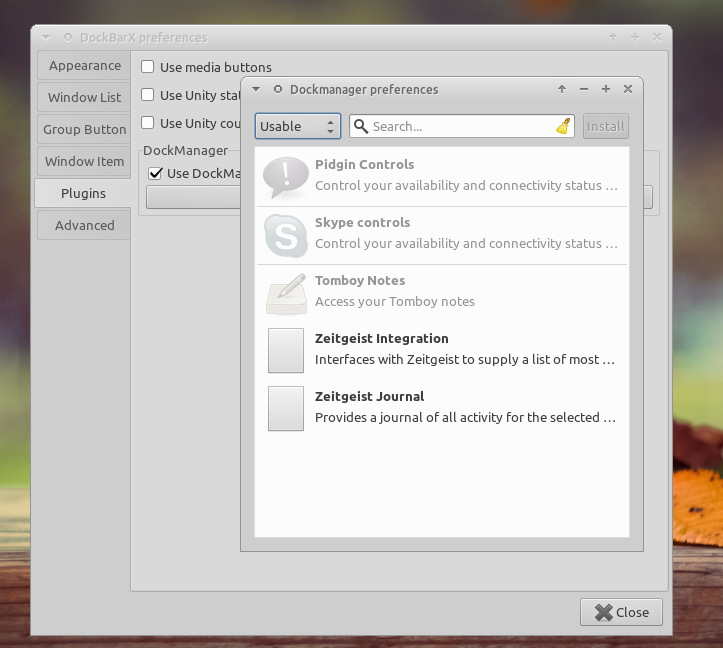 DockbarX for XFCE also supports Dock Manager plugins such as Pidgin Controls, Skype Controls, Tomboy Note, Zeitgeist integration, etc. 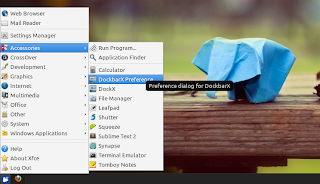 As I said before, DockbarX for XFCE is the same as already-made DockbarX for another Desktop Environment, so it comes with full featured configuration window. 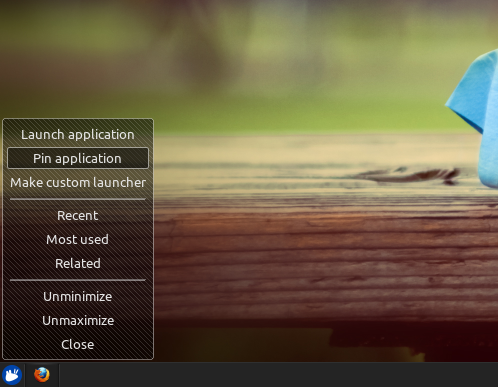 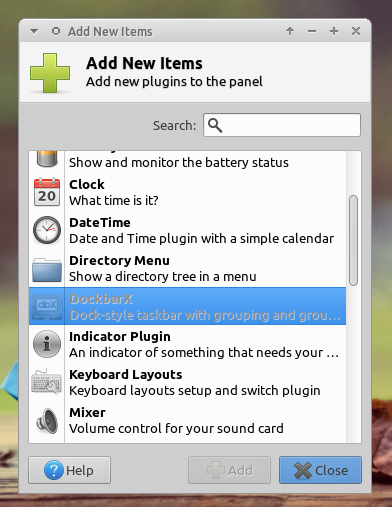 So, you can change DockbarX look and feel, grouping behavior, keyboard shortcut, and more. 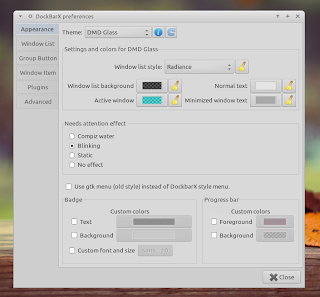 You can access the configuration window from "XFCE menu > Accessories > DockbarX Preference". 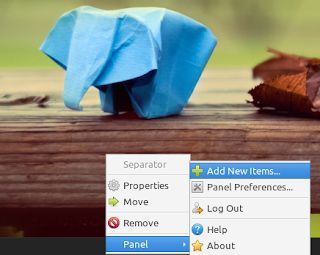 Once installed, right click on XFCE panel select "Panel > Add New Items..." and choose DockbarX and then click "Add". 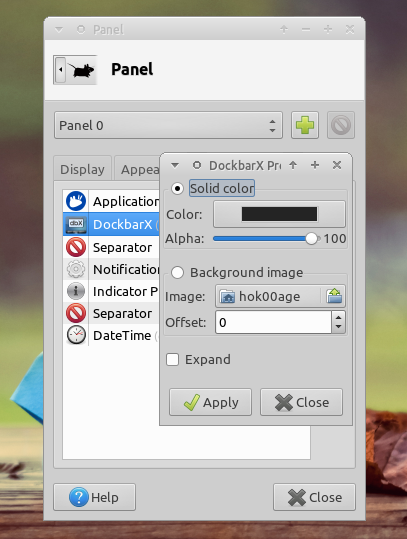 Once added, you might want to set basic options of DockbarX, especially the background color to match the color of XFCE panel.